Progressive Bass Wrap up Show 2017 – Episode #1 – The Bassmasters Classic! In case you missed it! 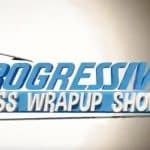 The Season Opening Show of the Progressive Bass Wrap Up Show is now live on our YouTube Channel! Make sure and Subscribe to our Channel as well as our Newsletter for all the up to date show info and more from all of us here at AnglersChannel.com!